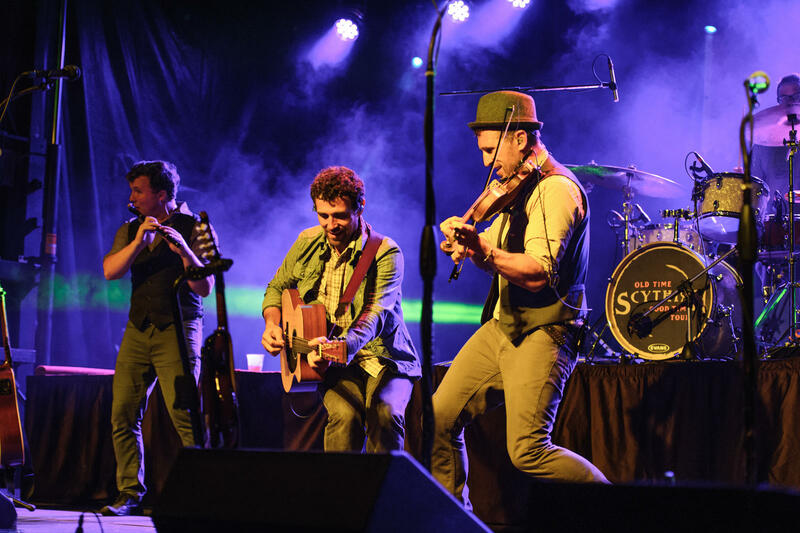 Irish rock bands Scythian and McLean Avenue Band will take the stage on March 30 at Villanova University’s Jake Nevin Field House for a concert to benefit Holy Family Home, a Philadelphia residence for the elderly operated by the Little Sisters of the Poor. The evening will feature an eclectic mix of musicians performing Irish, country, rock and pop music, along with roots music from Celtic, Eastern European and Appalachian traditions. The concert will honor Judyann Sheehan and Rob Juliano. Tickets are $50 per person, which includes general admission, food, drinks with a valid ID and a silent auction. Admission is $10 for kids 12 and under, and $20 for students. Doors open at 6 p.m. and food will be available then. The McLean Avenue Band will perform from 7:30 p.m. to 8:30 p.m., and Scythian will take the stage from 9:15 p.m. to 10:45 p.m.
Jake Nevin Field House at Villanova University is located at 800 Lancaster Avenue in Villanova. For more information, visit http://www.littlesistersofthepoorphiladelphia.org/.